Rachel Vogeleisen is a professional photographer specialising in women’s portraits and fashion. Her fascination with the Second World War was sparked by her discovery as a child that her grandfather, from Alsace, had had to fight for the Germans against Russia. 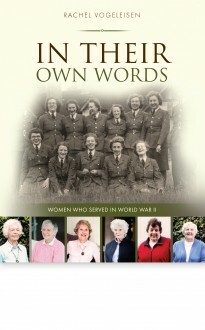 This book, the culmination of ten years of research, is a collection of portraits and testimonials recording the experiences of 21 women who volunteered during World War II, interviewed by the author. The accounts have been left as far as possible in the women’s original words, so that their voices can be heard clearly and faithfully. The women featured in this book are among many who did much behind the scenes without much in the way of recognition. It was not until 2005 that their contribution to the war effort was recognised with a memorial dedicated to the women of World War Two in Whitehall, London. These women are some of the last alive to speak about their wartime experiences in their own words.